Nokia is to expand the capabilities of its future Windows Phone devices with a design head from the Finnish phone manufacturer revealing the company is looking into incorporating NFC and wireless charging into future handsets. Speaking with The Guardian Nokia Design Chief Marko Ahtisaari revealed that having settled the foundations of its Windows Phone offerings with the introduction of the Nokia Lumia 800 Nokia would look to further improve the features offered by its new flagship range of devices. Suggesting that Nokia Windows Phone devices will follow past Nokia offerings and add Near Field Communication technologies for future models Ahtisaari has hinted that Nokia will also go away with all connection ports hinting at possible wireless charging. Although the handset features neither NFC nor wireless charging abilities today saw the official UK release of the Nokia Lumia 710. 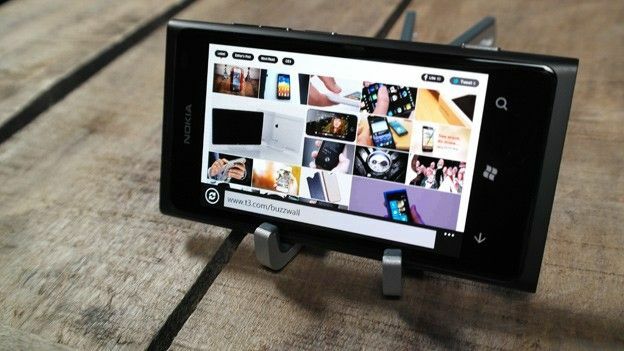 Officially unveiled alongside the Nokia Lumia 800 the 710 features a lower-end range of specs with the Windows Phone OS paired with a 3.7-inch ClearBlack display and a 5-megapixel rear-mounted camera with 720p HD video recording abilities. Would the inclusion of NFC and wireless charging tempt you into splashing out on a Nokia branded Windows Phone device? Let us know via the comments box below.